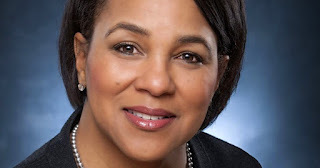 Starbucks Corporation has announced the appointment of Rosalind Brewer as group president and chief operating officer. Brewer, former President and CEO of Sam’s Club and current Starbucks board member, has more than 30 years of management experience and more than 10 years of experience leading multi-national retailers. As group president and chief operating officer, Brewer will lead the company’s operating businesses across the Americas (Canada, U.S. and Latin America), as well as the global functions of supply chain, product innovation, and store development organizations.